Bio: Hello. Captain Picard is my favorite officer, but on Memory Alpha I am known as "JustPhil". 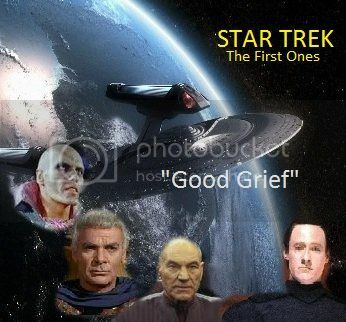 I am a fan of Star Trek, particularly Deep Space Nine and Next Generation. I will focus on stories revolving around the Dominion War. One of my interests is military history. Expect my stories to be similar to historical battles. Summary: Faced with some prejudice, Eris provides the Dominion side to one of its atrocities. Summary: Over a year after the end of the war, Eris and Prilla have relocated to Earth, where they must adapt into an alien society. Summary: The Federation-Cardassian War has been raging for nearly a decade. Despite an initial significant offensive, Starfleet has pushed them back. Now the war is being fought over a thin strip of territory. However, an end is in sight. A young lieutenant commander named Richard Monroe is assigned to assassinate the leader of the Cardassian forces, which may bring an end to this destructive conflict. Summary: Two months after the Battle of New Xindus, Eris and Gul Kellem look for the leader of an underground movement seeking to overthrow the Dominion authorities. To the Bajoran people, New Bajor colony was a sign of progress. The first new colony since the occupation, it provided over 10,000 Bajorans a chance to start over on a world free of the horrors of the occupation. To the Dominion, it was an intrusion into their territory. Eris, an intelligence officer, became a witness to an important moment that would change the course of history. The Dominion War has entered its final stage. Despite the sudden addition of the Breen, their latest offensive has stalled due to the rebellion of Legate Damar, allowing the Dominion's enemies to reclaim some occupied territory. 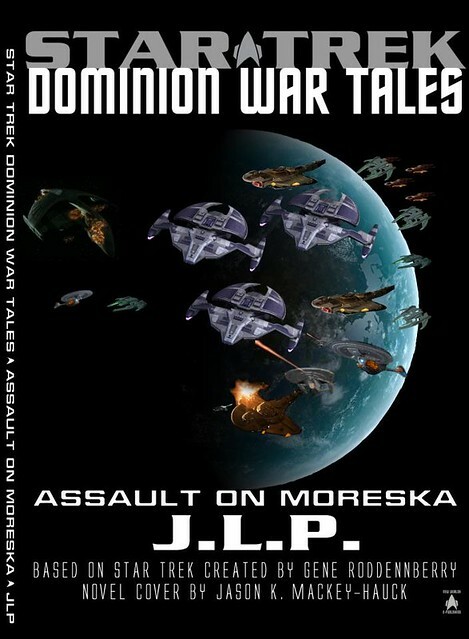 In the fiercely contested Kalandra Sector, the Federation Alliance has attacked the Moreska shipyards, the last major shipbuilding facility in the sector. A garrison consisting of the reformed Sixth Division is completely cutoff from reinforcement. On the nearby world of New Xindus, Arjagul Tarska Hesar is face with a difficult decision. With the fate of Septimus well known, does he allow the Sixth Division to be destroyed again, or does he launch a daring plan that could be his last victory of the war? Summary: Cerrein's massacre of the Skrreea refugees has worked its way up to the highest chain of command. Weyoun orders his best officer, Liska, to break the news to him. Summary: The war is beginning to go badly for the Dominion. However, a sign of hope for Arjagul Tarska Hesar and Sadok'toran Liska comes in the form of a planet populated by a race known only as the Ba'ku. Summary: Nearly a month since the death of his wife, Worf takes an option for his beloved to enter Sto-vo-kor. His assignment is simply: assassinate the leader of Dominion forces in the Kalandra Sector, Tarska Hesar. With a team of hardened warriors, he is confident of victory and glory. Summary: On October 10, 2375, the Breen attacked Earth. In San Francisco, Paris, New York City, and Beijing, millions of lives were extinguished in one of the most brutal acts from the Dominion War. Follow the lives of people affected by the assault, from Vulcan to New Xindus to Proxima Centauri, lives changed forever. Summary: At the height of the Dominion War, a deadly bioweapon has been unleashed on a Vulcan colony. A doctor works hard to save as many as he can, while a young reporter gets a horrific look at the consequences of war. Summary: For nearly an entire day between death and rebirth, the Vorta find themselves Here, an empty void of a waiting room. As she awaits her awakening, Liska faces one of the most annoying men in the entire Dominion. Carmen Aquila had no idea what would become of her during the Second Battle of El Salaam. The transport brought her to a settlement on New Xindus, officially designated as a prisoner-of-war camp. However, she quickly discovers the sheer horror being performed by the camp guards and must do everything she can to stay alive in this nightmare. Summary: The summer has not been going well for Starfleet. The 96th Tactical Wing has been assigned to protect a deuterium refinery. However, lurking in the asteroid belt is one of Cardassia's best pilots. Lt. Carmen Aquila's squadron is on patrol. Only one side is returning from the field alive. Summary: Five years ago, Cerrein had the task of halting the exodus of millions of Skrreea refugees. Now, in the opening days of the Dominion War, he finds himself above their new homeworld. Fall, 2375: The Dominion is at its limits. Starfleet and its allies have nearly succeeded in pushing back the enemy and completing a noose around Cardassian space. Just outside the Kalandra Sector, a new Dominion offensive has hit the so-called "Muslim colonies" in an attempt to reach the Core Worlds. The USS Rommel is one of the ships that is heading for the frontline to drive back the enemy into their rapidly shrinking space.